Much has been said about the Broncos bringing a proven veteran quarterback to Denver. If they decide not to bring in a vet and go with one of their young slingers, does that mean they are forgoing their shot at a championship? Andrew Mason of DenverBroncos.com doesn’t think so, or at least that’s what he told Ryan Edwards and Danny Williams on Mile High Sports Radio. The crux of the argument is where the Broncos should spend their money. One route they could go is to bring in a proven quarterback like Tony Romo or Philip Rivers, but those names would come with a hefty price tag and possibly prevent Denver from addressing their issues along the offensive line and at the tight end position. Mason believes that money could be better spent elsewhere. 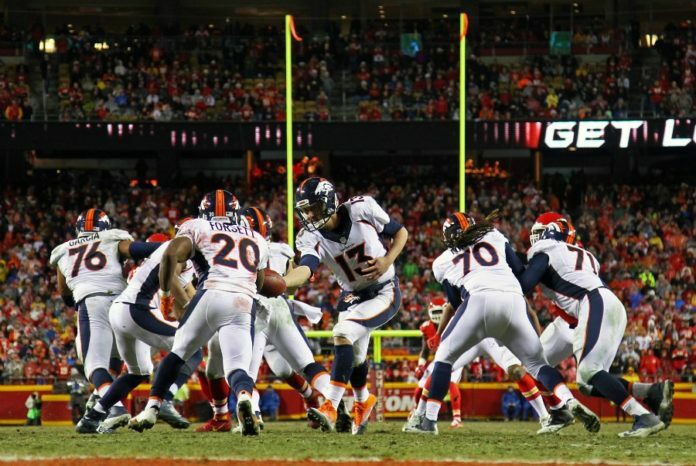 Though the quarterback play could have been better, there were many other reasons they Broncos missed out on the playoffs. Listen to the full interview with Andrew Mason, including his thoughts on the farce that is the report that Wade Phillips caused division in the Broncos locker room, in the podcast below.